Most adults never have to think about hearing aids until they are middle-aged or older. A child with a diagnosis of permanent hearing loss means that you, as his/her parents, will need to understand what hearing aids do and do not do, and how to care for them. The links below are designed to help you begin your education on hearing technology and your important role supporting your child’s hearing device wear. 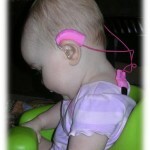 It may also be of interest to read Questions Families Often Ask about their child with hearing loss. 1. 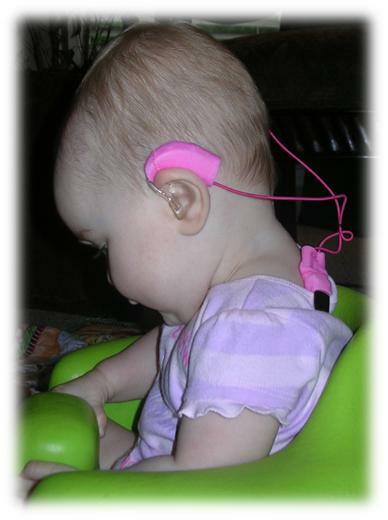 Consistent input of sound helps the brain develop – this is most important birth – 3 years. Brain pathways do not develop normally when input is inconsistent. 2. Consistent hearing builds a sense of trust in your child and bonding with you – how predictable the world is and the behavior of those in his life depends on consistent hearing. 3. Language is caught not taught. Your child’s listening bubble is smaller that other children’s. Hearing isn’t restored to normal with hearing devices, but using hearing devices all waking hours allows your child to optimally ‘catch’ the verbal language occurring around him which is necessary for growth in his understanding and use of verbal language. Wh at are hearing devices? What do they do? 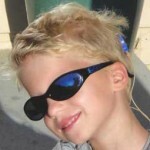 How much can hearing aids/cochlear implants really help? How much does he need to wear hearing aids? How can I keep them on him! Potential financial resources for hearing aids. Hearing aids are very expensive. Unfortunately there are not always sources of funding readily available when your child’s hearing loss is diagnosed and he or she needs to start wearing hearing aids. Some places, and some audiologists, have loaner hearing aids that can be used until a parent figures out how to buy them or another resource to fund the hearing aids. Some states have insurance coverage for hearing aids for children, so be sure to check your insurance provider. Although it seems very unfair, in many, if not most cases, it is up to the family to find the money. For your child’s sake, if needed, ask for help from extended family as their help at this time will clearly make a difference in your child’s ability to function as well as possible socially and in school. Some audiologists will allow you to pay over time (like a car loan). There may be extended pay options for hearing aids purchased from places like Costco or Sears (maybe with a recommendation from the diagnosing audiologist). It only puts your child farther and farther behind developmentally the longer it takes to purchase hearing aids. Three months is a long time! Ultimately, it is the responsibility of the family and not the government, school or other provider to make sure your child has the hearing aids he/she needs to succeed. 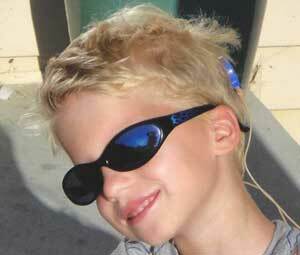 Find other families of children with hearing loss to talk through the solutions they found at this challenging time. If your child needed critical surgery and insurance didn’t pay for all of it, would you wait? I know I need to check the hearing aids every day. How do I do this? When should my child be learning how to put on and check his own hearing aids? SEAM for School Success – provides expectations from age 3 through high school for different skills and stages of being independent with hearing devices.